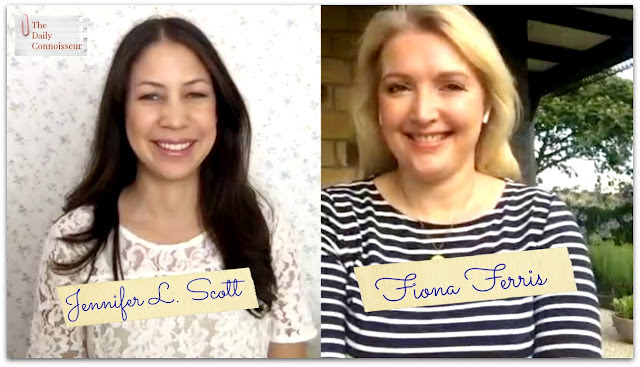 My interview series continues today with my good friend, Fiona Ferris, who is a bestselling author of lovely books on living a chic life. Fiona's latest book, 30 More Chic Days, is the topic of discussion for us today along with some of my pressing questions. Fiona is passionate about, and has studied the topic of living well for more than twenty years, in particular that a simple and beautiful life can be achieved without spending a lot of money. Fiona finds inspiration from all over the place including Paris and France, the countryside, big cities, fancy hotels, music, beautiful scents, magazines, books, all those fabulous blogs out there, people, pets, nature, other countries and cultures; really, everywhere she looks. Fiona lives in the beautiful and sunny wine region of Hawke’s Bay, New Zealand, with her husband, Paul, their rescue cats Jessica and Nina and rescue dogs Daphne and Chloe. I hope you enjoy our fun discussion in today's video. 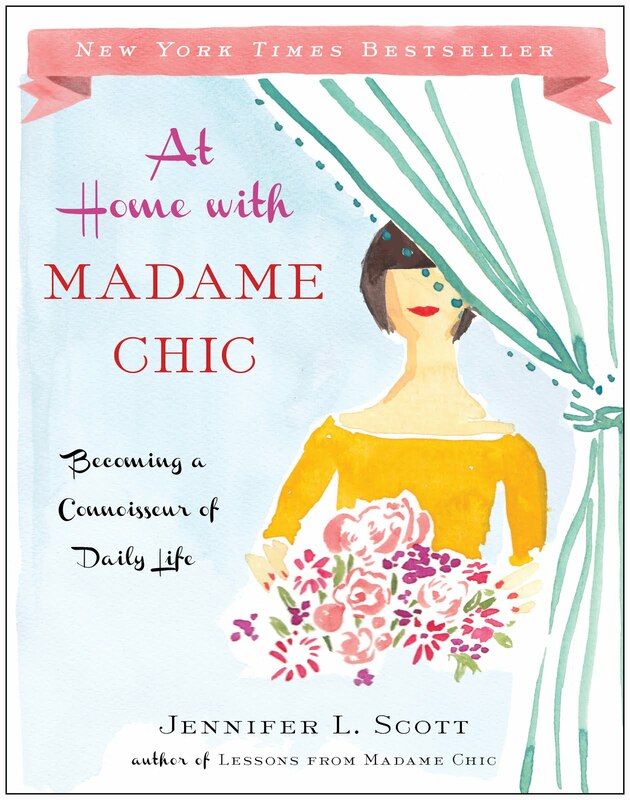 Fiona is generously giving away 2 copies of 30 More Chic Days. The giveaway is open worldwide. Enter below. Best of luck! 📍I released a video only on YouTube this weekend about perfection and social media. Plus, I chat with you from my new "studio" :) Be sure to subscribe to my YouTube channel (and hit the "bell" for email notifications) so you never miss a Daily Connoisseur video. 📍Check out my affordable eCourses Chic Financial Principles for Debt-Free Living, and Create Your Own Ten-Item Wardrobe. 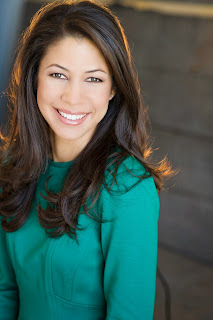 On Saturday's special video on social media and perfection, Kim from Free to Family wrote, "Hey Friend! I totally feel this way many times. While we like to share tips and help other women, it by no means insinuates that we are perfect. While I like my channel to have quality content and nice videos, I also want people to know I am real too..and a work in progress:) People do create a perfect picture in their mind of us many times based on the 5% we share...we are all NORMAL REAL people! thanks for this message and HERE is to ENJOYING the process!!! xoxo﻿"
Thank you for joining me for today's interview. I hope you enjoyed it! Be sure to enter the giveaway for Fiona's lovely book. I follow Jennifer’s advice on trying to look presentable always. I try to dress nicely and wear a lovely apron when going through my daily routines. I make sure my children are grateful, helpful and happy! Lovely blog and YouTube post Jennifer. Fiona seems such a lovely and approachable lady! I choose my words carefully and always try to encourage someone. I would love to win a copy of your book! I look presentable daily,by always doing the best I can! I have recently discovered Fiona and am currently reading her book about being slim and chic in winter. It has been so helpful to follow her suggestions about not just surviving winter, but embracing the season. So many great good reminders are included. Thank you Fiona! And Jennifer, thank you as well! Hi Jennifer, it was so nice to listen to your interview with a fellow New Zealander! The things I took from the interview was being chic is putting your best foot forward (Fiona) and having a happy heart while doing it (Jennifer). I'd love to win Fiona's new book. Thank you. I live a chic life by continuously reading classic literature in my life. I think there is nothing more chic than being educated. Currently I am re-reading Jane Eyre. Thank you, Jennifer, for introducing me to Fiona and for entering me in the book giveaway! Thank you for all the time and effort you put into your wonderful content that nourishes my soul. I have read all of your books as well as Fiona's and would love to win a copy of her newest title. I knew you and Fiona know each other since I read your comment on her blog years ago. 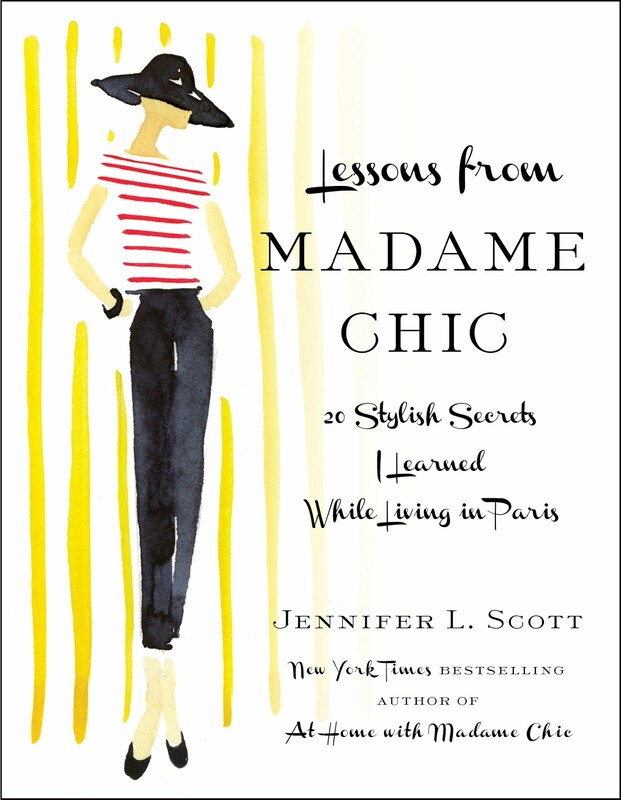 I have her 30 Chic Days book and would love to win her newest one! Keeping my fingers crossed and I enjoyed this interview very much. What a treat. Please do another one! 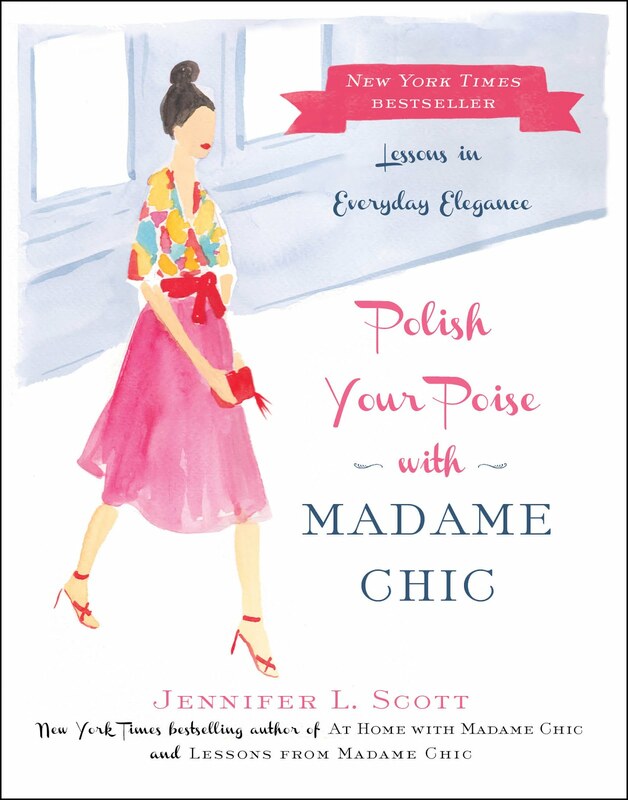 I add chic to my day by starting my day with a glass of water, hot coffee, and quiet time reading my Bible. It sets the pace for my entire day. When I skip this time, I am not very chic-like! Thank you for always pouring into us and adding value to our lives! Thank you so much for this interview. Loved it. I really liked what Fiona said about making your whole life chic and that it doesn't take a lot of money to do so. I read Fiona's blog too; it was nice to see you together. Thanks for the giveaway! I add chic to my day by maintaining an air of mystery and not oversharing details about myself to others. Thank you Jennifer for introducing us to Fiona! Really enjoyed this interview. Thanks for another nice video. I find that trying to wake earlier than my children is helpful in being cool, calm, and collected. If I have some time to myself to wake up, get dressed and read then I am more pleasant...than if someone wakes me up and I have to stumble out of bed and hit the ground running. Thank you for the giveaway! I add chic to my day by always getting "ready for the day" when I get up in the morning, especially my hair and a little bit of makeup. It only takes a few minutes but it makes me feel ready to handle anything! Thank you for the chance to win one of these books - it sounds so interesting. Michelle O.
Super excited to look into these Chic books! You are both such inspiring women! I try to add chic to every moment of my life. It's the details of every chore, every experience, and every interaction that make all the difference. It's up to ME to make it all happen. That's my own definition of chic. I enjoyed today's interview with Fiona Ferris. Yes, I too, would be happy to win her books. I have gotten so many ideas from your videos and books. I hope do the same with Fiona Ferris. Thank you. What an enjoyable interview! Thank you. To be chic each day, I just try to incorporate something that makes me feel beautiful, classy, or joyful. That can be anything from wearing certain pair of earrings, wearing lipstick, saying something positive instead of negative, holding my tongue when I want to complain, smiling in the midst of stress, setting aside time to knit/crochet or going for a brisk winter walk. Like Fiona said, you can create beautiful, chic moments in life without spending money. Thank you again for this inspiring interview. Love you both for so many years! Thanks for all your inspiration! Thanks for the delightful discussion. I love Fiona! I add chic to my day by dressing presentably, by listening to classical music in the car, and by serving a home-cooked dinner six nights a week on a tablecloth-covered table with cloth napkins. We also keep our drinking water in a china pitcher on the table. Thank you for the opportunity to win Fiona's new book. I add chic to my day by making my bed each morning and making sure my bedroom is a welcoming inviting place for me and my husband of 48 years. I’ve always felt that having a nice bedroom is important for a good marriage. We also enjoy breakfast together each morning, watching the sunrise, looking out at the lake and watching the birds. Enjoying nature and all the God-given gifts that we sometimes take for granted. There is no more beautiful music than the birds in the morning. I added a touch of chic to my day on Saturday by wearing my new Daily Connoisseur t-shirt with a nice sweater, skinny jeans, and boots. I also add chic to my day by reading literature and keeping fresh flowers in my home. I've been listening to the Beethoven you recommended as well! I try to spritz on a little perfume everyday to remind myself that even through I'm in the Army, I'm still a feminine creature. I got so excited when I saw my two favorite bloggers in the same screenshot! Your blogs have provided so much inspiration over the past decade. As for incorporating an element of chicness to my day, it starts the night before. I have gotten in the habit of “resetting” the kitchen and living room at night as well as laying mine and the kids outfits and bags for the next day. This has made our mornings so much more peaceful and that grace tends to carry through the rest of the day. As always, wonderful ideas from Fiona! I like to add a little chic to my day by always wearing pretty pajamas, a nice robe, and drinking my morning coffee from a pretty cup rather than any old mug. No matter what the day may bring, this starts me off feeling happy and chic! Thanks for the lovely, inspiring video. It's always nice to hear discussions on creating a beautiful life. The "chic" in my day includes choosing to dress nicely. I enjoy my capsule wardrobe and the freedom of quick, lovely decisions. Everything fits and is something I love! I also enjoy using pretty china for every meal, desserts, and my hot tea. Each day is a treasure and a responsibility to use well. Life is so worth living and living well! Thank you for the lovely interview. I hadn't come across Fiona yet, but I am a new follower. Thank you for highlighting other bloggers and authors for us to discover! Thank you so much for introducing me to Fiona! Her words rang so true to me and I hope to be able to read her book soon! As always Jennifer, thanks for all you do to make those of us who try to live a chic life feel less alone in our journey! I love what, Unknown, said; "there is nothing more chic than being educated". Jennifer, you educate us every week when you share your thoughts and tips. I love this journey of becoming chic and educated. Each season I get closer to a ten item wardrobe and more like Madame Chic - I'm evolving. Thanks, Jennifer! Happy Valentines day! I also wear mininal makeup, to define not cover up. Gosh, I was 20 minutes into this video and I was so struck by Fiona's lovely, gentle manner and wise words that I paused it and had a look at her website and subscribed. I had no idea there was a book giveaway until I started scrolling through the comments. I was happy enough that by subscribing to her site I was receiving excerpts from several of her books (how generous!). What a nice additional surprise this is. Good luck, everyone. As an Australian in London, it was so sweet to hear her and also the birds in the background. And why am I the only one commenting on the adorable Chloe leaping on her lap to give her a kiss every now and then. I ensure I always have the smallest of chic moments to look forward to every single day, from my morning chai made with loose leaf organic tea and served in a teapot to the beautiful meal I make with fresh ingredients bought directly from farmers markets where I reflect on the conversations I had with them during the purchase. All the little things. Thanks to both of you for being so inspiring in similar ways yet with your different lives. Enjoyed your video and blog. Fiona's spirit represents the kindness and loveliness of New Zealand. I'm not sure where she lives, but Christchurch has one of the most beautiful libraries I've ever seen. I look forward to reading the book and enjoying continued excellent content from The Daily Connoisseur. Thank you. I enjoyed listening to your interview with Fiona. I'm always so inspired by your videos to be more chic and classy and bring more things that give me joy into my life. Thank you for this inspiring interview. It brought me over to Fiona's blog and I have been enjoying her many posts. I would say that for me, being chic is embracing the beautiful, the good and the true in all aspects of one's life. May we all aspire to it. So thrilled to hear you chatting with Fiona. Two of my favourite bloggers ! Heaven.